I have decided how to begin my journey towards writing my own patterns. One of the skills I lack is choosing yarn. 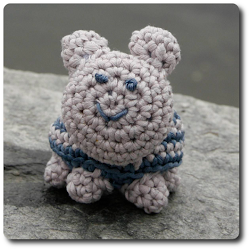 Usually I just use the yarn recommended in the pattern. 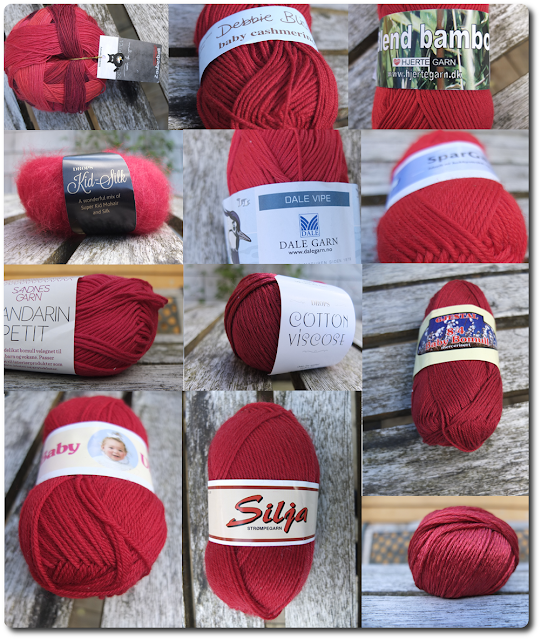 So now I have bought a whole heap of different yarns, all approximately sport or sock weight and all in dark red. I have chosen all sorts of materials in the yarns, all sorts of brands, and both the discount stores and fine yarn shops were visited. In the picture above are some of the skeins I bought. I wanted all of them in same or same-ish color so I would not get distracted by color when I looked at the results and evaluated qualities. Next, I will try to make the same things with different yarns, and try to learn about their qualities and what they are best used for. Hopefully this will be the first leg of my journey, maybe it will get me from Hobbiton to the Old Forest, or if I'm lucky, all the way to Bree. Or maybe it's just a little adventure before the journey begins for real. Either way, the yarn looks tempting and I can't wait to begin.